Here's the road frame I built for myself back in April. It kept getting put on the back burner for one reason or another, but it's finally ready. It's the "team" Ellis paint job. Internal derailleur cable routing. 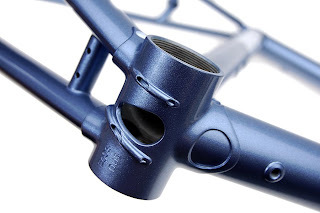 It exits through the chainstay scallop on the dropout. 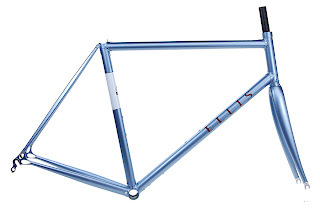 hmmmmm....I like that frame alot! Sweet looking drop outs and nice color. What may I ask kind of fork is that? It's a Reynolds UL carbon fork. 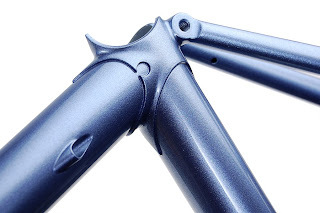 I'm having a bike built up sometime in 2009 and am struggling with carbon v/s steel for the fork. You don't see too many on lugged bikes. 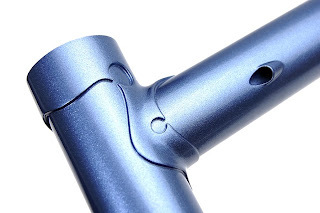 Why, specifically, did you choose a carbon fork over steel?